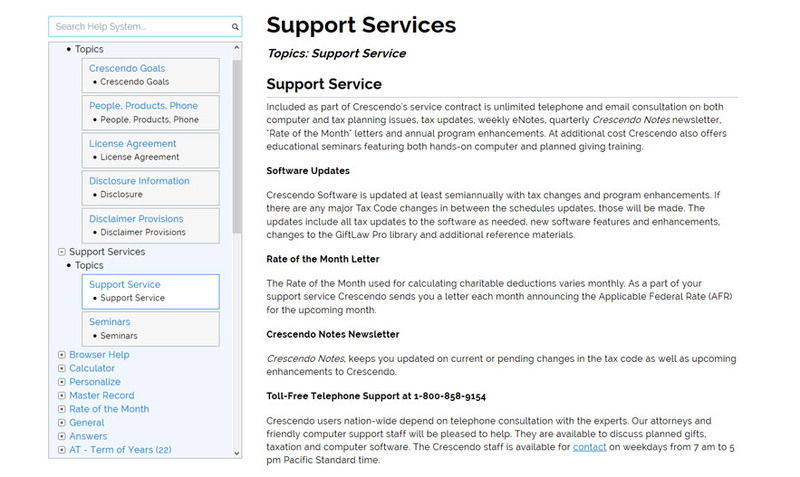 CresEstate cloud software includes the most common charitable tax plans used by professional advisors (attorneys, CPAs, financial planners and underwriters). 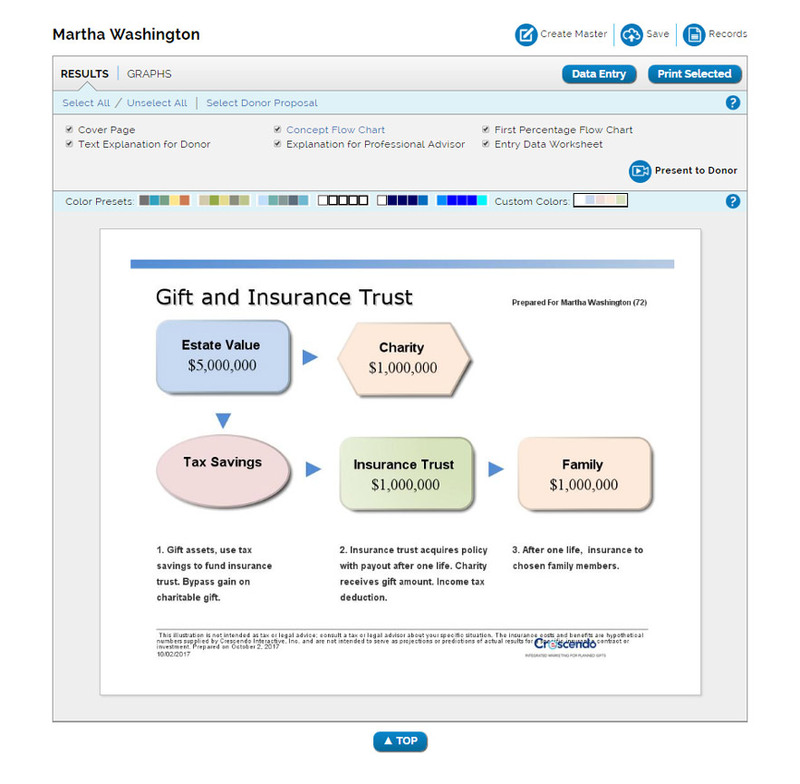 CresEstate includes client illustrations, gift calculations, technical explanations and the GiftLaw Pro tax reference. 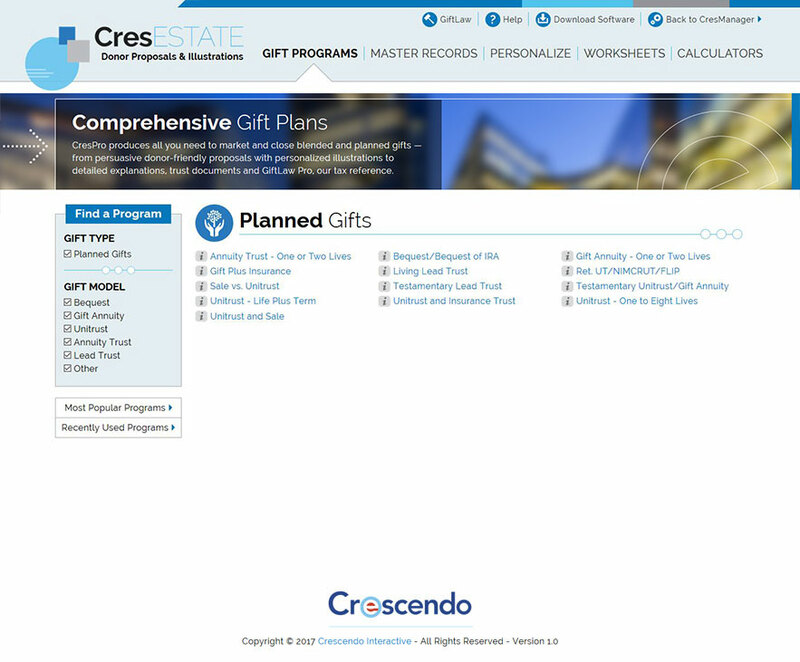 CresEstate features 16 gift plans. Please visit our donor proposal software comparison page for the list of gift plans available in CresEstate and our other software. 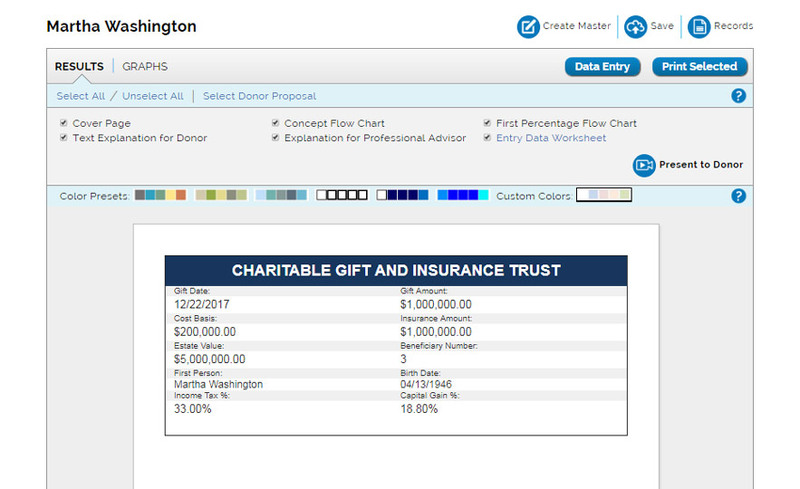 CresEstate includes the GiftLaw Pro charitable tax reference service. Available online, it features thousands of pages of information on gift planning strategies and assets. It includes links to relevant Internal Revenue code sections, regulations, rulings, cases and more. 1. What are the key features of CresEstate? 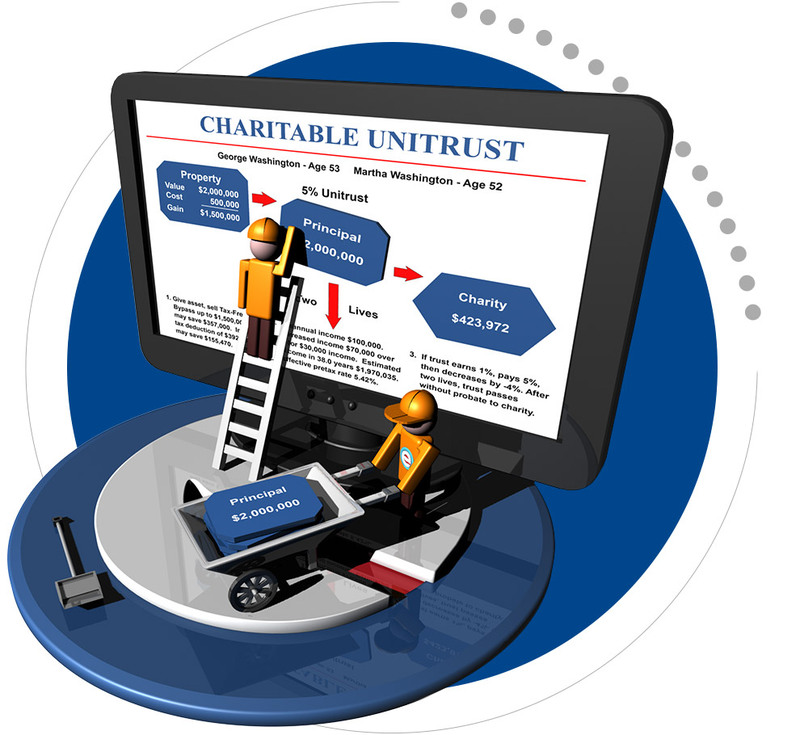 CresEstate is designed for individuals who want a powerful planned giving software product at a lower cost. It includes our base gift models plus testamentary unitrusts, lead trusts and estate planning programs. 2. What are CresEstate's requirements? CresEstate is cloud-based software. It can be used on PCs, Macs and iPads, and is accessible by and compatible with the most popular web browsers. 3. What is included with purchase? 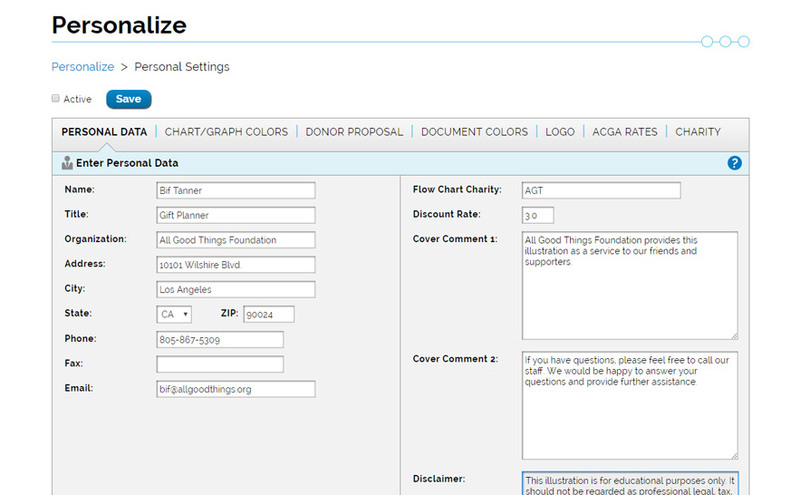 A single user, annual license, and a detailed electronic user's manual and planned giving support services. 4. Is demonstration software available? Yes, fill out our online trial form or call us at 1-800-858-9154. For a free demonstration of CresEstate, please complete our trial request form or call us at 1-800-858-9154.